During the month of March 2015, more than 70 events will take place in Albuquerque and Santa Fe as part of the 10th annual Women & Creativity, an event celebrating creative women across the spectrum. The event was founded by arts consultant Shelle Sanchez and is co-coordinated by Valerie Martinez of Little Globe, and Julia Mandeville of Harwood Art Center, who all joined us in the Pyragraph studio to share details of the month’s events and activities. Kristi Welton-Kidder also joined us to talk about how her group Women in Technology is participating in the month’s events and representing women who pursue creativity through engineering, programming and other tech-based angles. 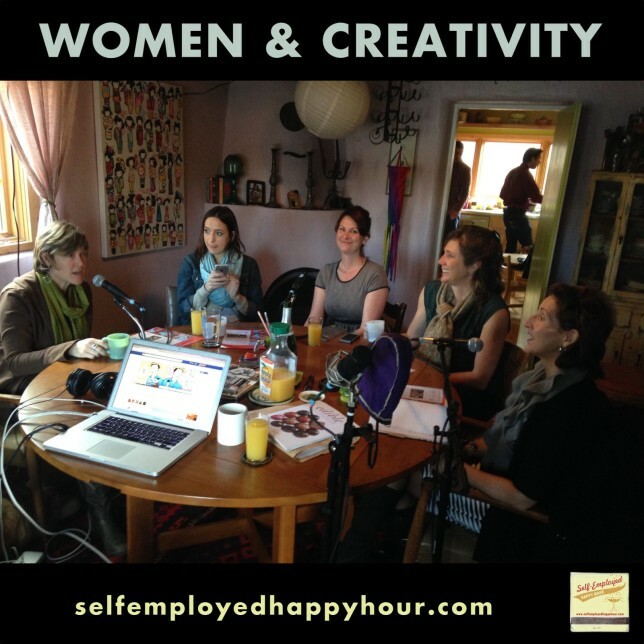 We had a great talk about the unique ways that women approach creative pursuits, how to build professional opportunities for creative women (and men) in New Mexico, and how to celebrate and support creative women year-round. I’m joined by Pyragraph’s Outreach Manager Cara Tolino as co-host. Listen below and/or subscribe at iTunes!